Andre has been involved in sport of some kind all his life. Whether it's been competitive athletics, representative rugby or adventuring in the outdoors. Real world fitness, strength and conditioning has always been a part of his life. Andre was introduced to CrossFit over 6 years ago by his wife Anna and has been involved ever since. Andre is an avid disciple and practitioner of the functional, constantly varied, and high intensity nature of CrossFit and it's applicable transfer and benefit in everyday life. 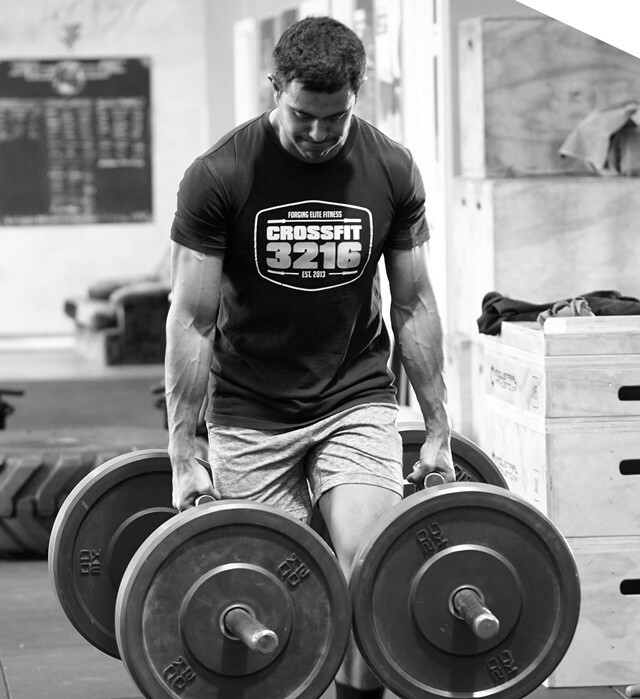 Whether it be improvement in the sports specific arena or facing the unknown and unknowable physical and mental challenges in life, Andre is a real advocate for CrossFit as a way to be prepared for anything. As a coach a real driver for Andre is helping people discover a new found level of fitness, work capacity and athleticism they didn't think they had. Seeing people progress and improve is definitely worth the effort for the former Geotechnical Engineer, and is hugely satisfying as a coach. These days a big part of CrossFit for Andre personally, is sharpening and forging mental toughness, keeping functionally strong and fit so he can push the boundaries in the less traveled wilderness regions of the globe when he's out hunting and filming as a co-host for the SKY Sports TV series The Hunters Club.